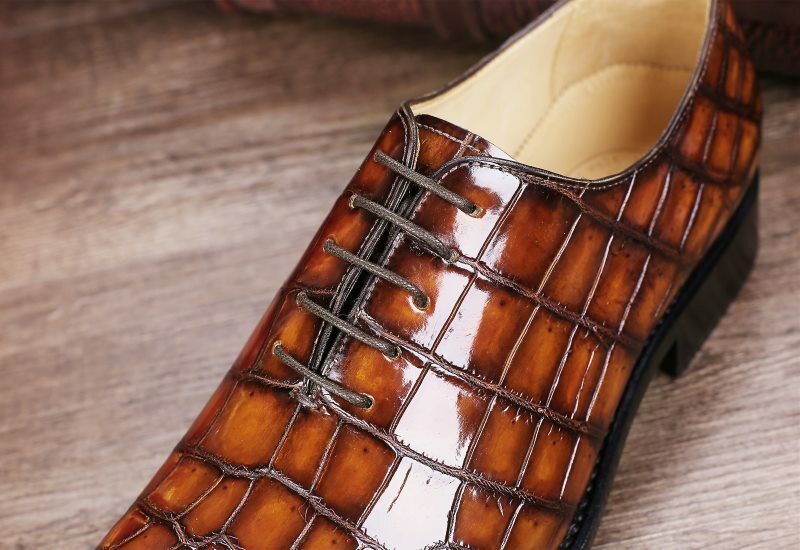 Finding the perfect pair of shoes is the hardest job men often have to deal with. 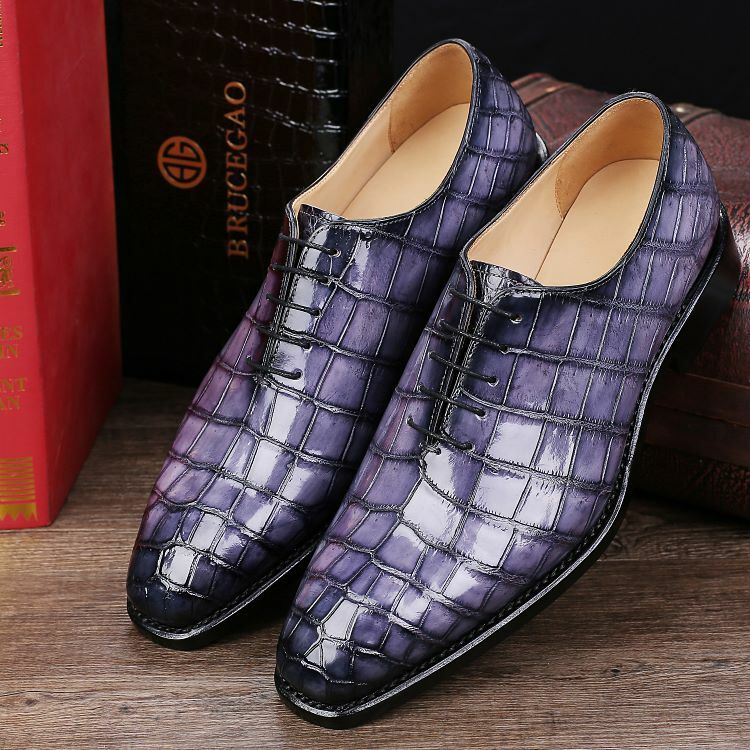 The reason is that there are not many options available in the stores and when you want shoes for special occasions, it seems like nothing can fit your requirements. Do not worry because we have the pair of shoes you have been looking for. The Handcrafted Men’s Classic Alligator Leather Dress Shoes Goodyear Welt is the must-have shoes in your closet and here are the reasons why. 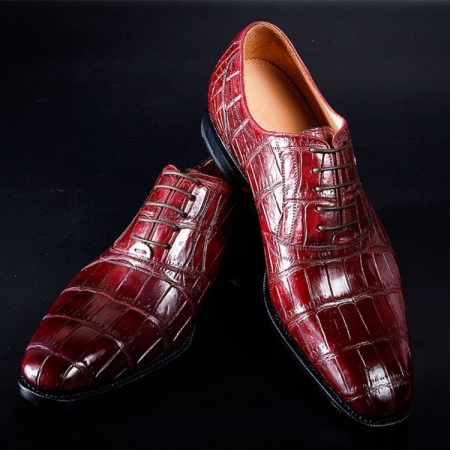 Most people have the misconception that shoes manufactured with leather are hard against the kin. They are not comfortable and will leave your feet in pain. 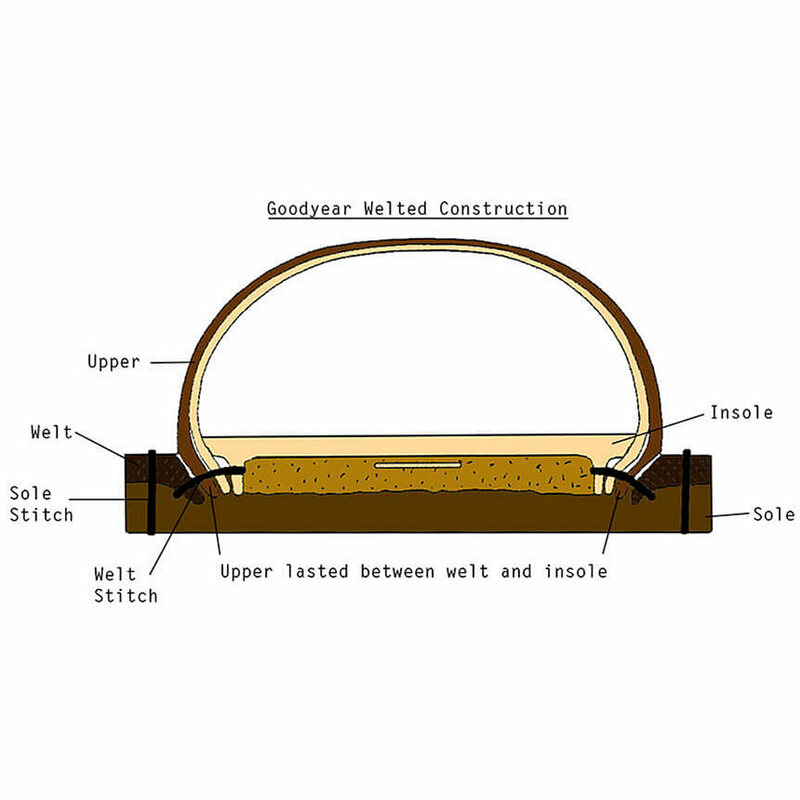 However, Handcrafted Men’s Classic Alligator Leather Dress Shoes Goodyear Welt has been designed with such perfection that you will not have to deal with the issues again. 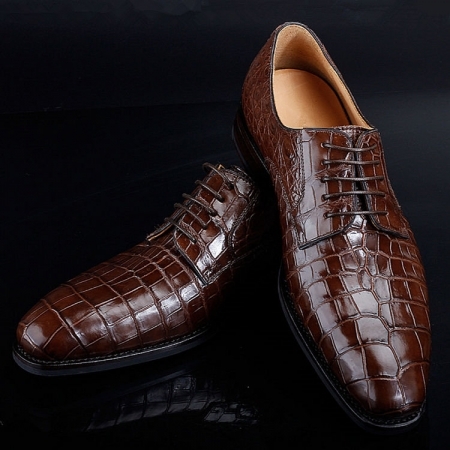 The sole of the shoes is comfortable and soft. As well as it has the easy fit design. 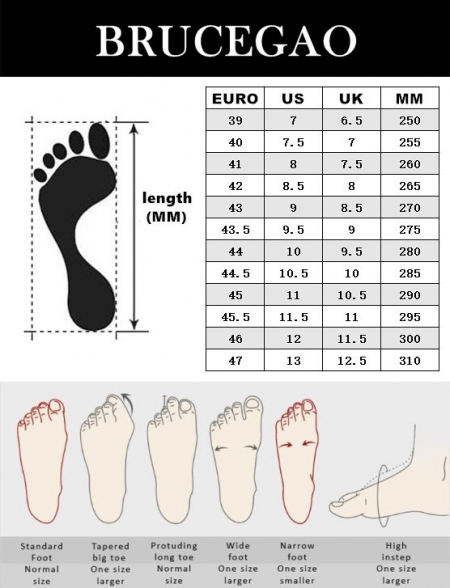 It means that shoes will easily fit into your feet and you will not have to struggle while wearing your shoes. 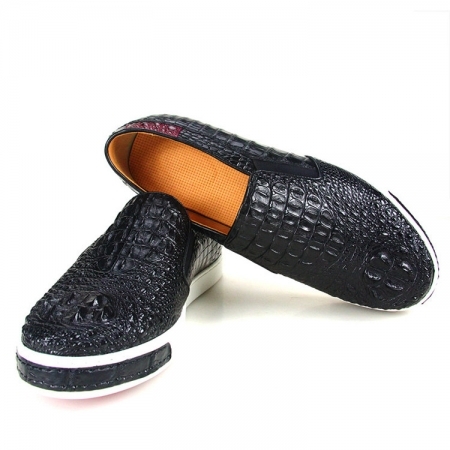 One of the best things about the shoes is that they are highly stylish and cool. 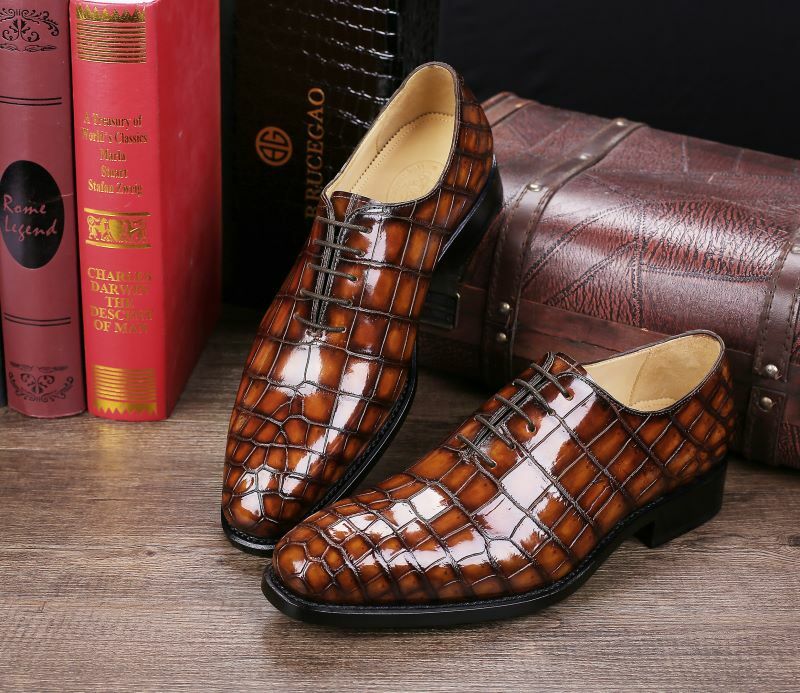 Handcrafted shoes will enhance your overall personality and will make you look cool. 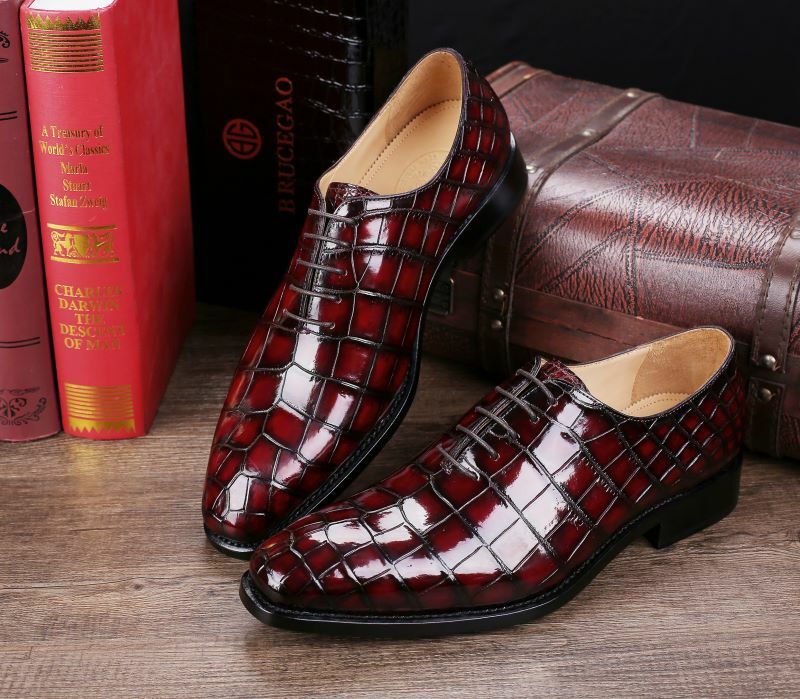 You can wear the shoes with any dress that you want for any occasion. 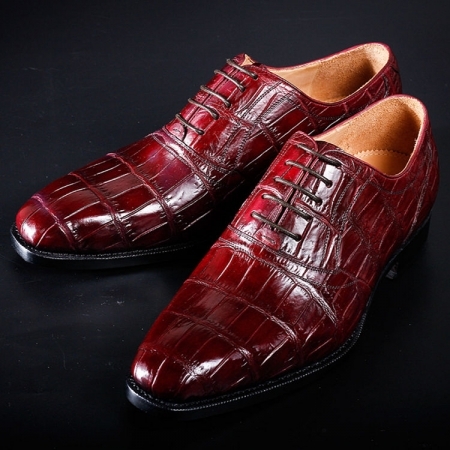 It is available in 3 cool colors Burgundy, Brown, and Gray. 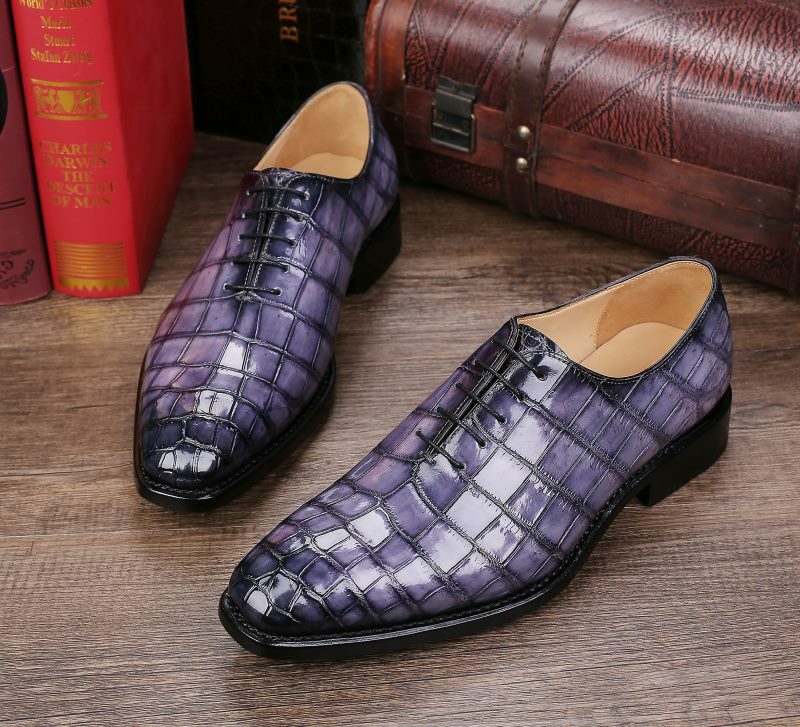 Get the one that suits your style perfectly. 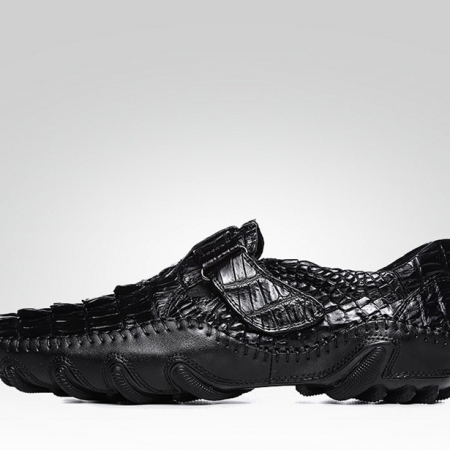 The outer alligator skin texture of the shoes and the way colors merge on it looks amazing. You will feel like you have the most expensive shoes on your feet. 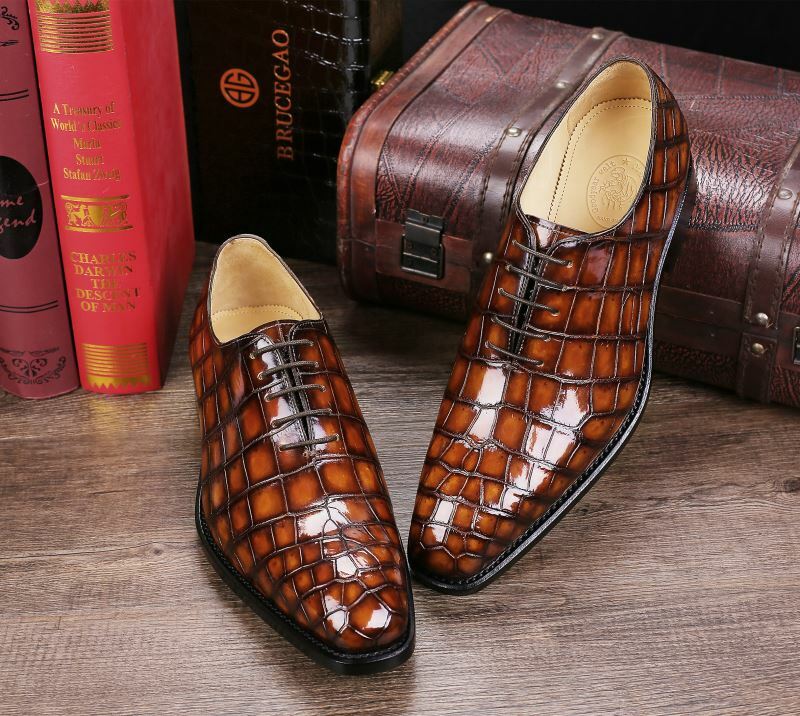 We know that men do not like to change their shoes on regular basis. 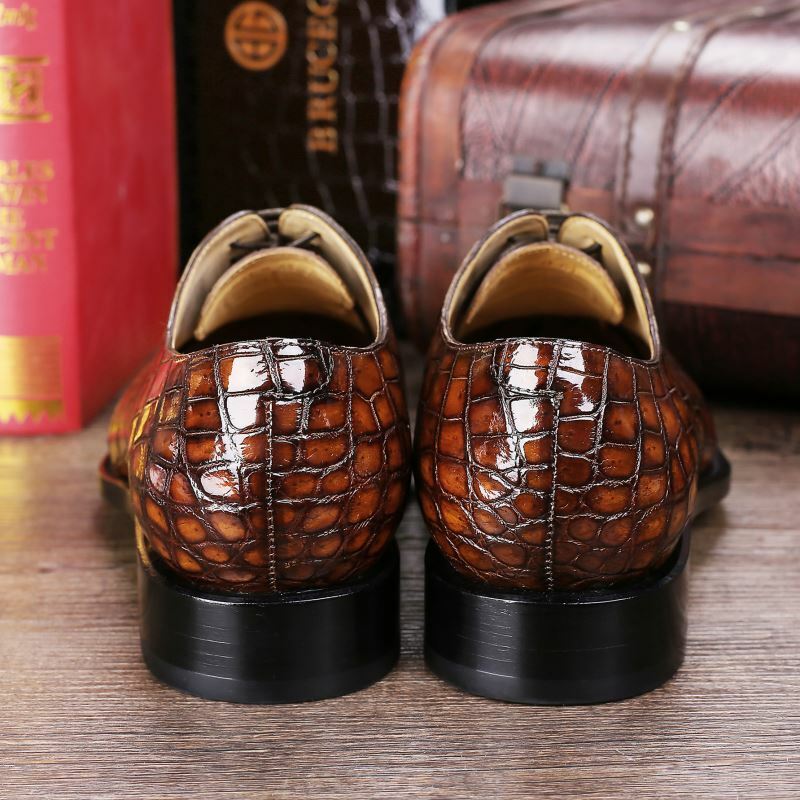 They prefer to buy a pair of shoes that will serve them for a long time and Classic Alligator Leather Dress Shoes Goodyear Welt will be a perfect choice. 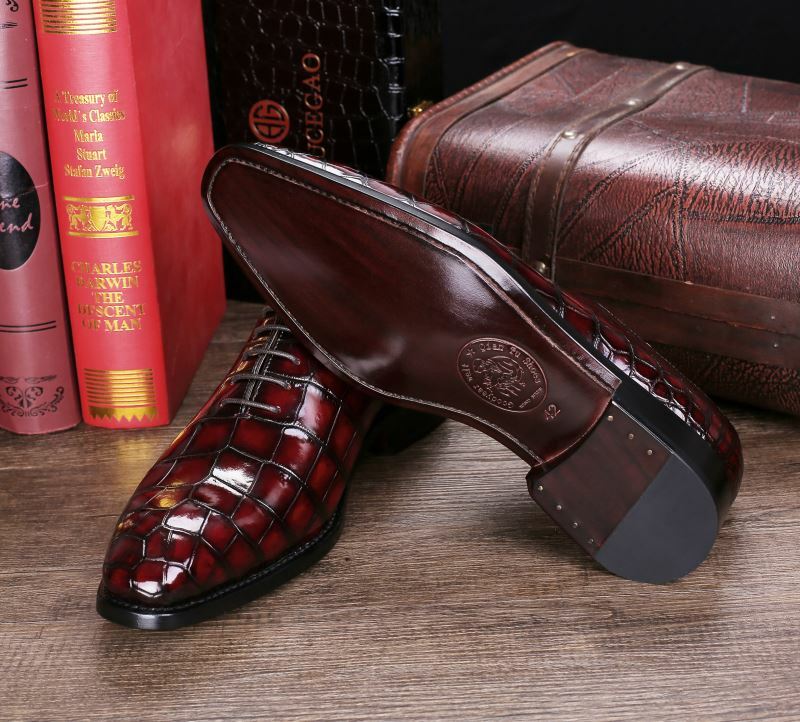 It is manufactured with the best quality leather skin and handcrafted with perfection to assure that the shape of the shoe will not be damaged. 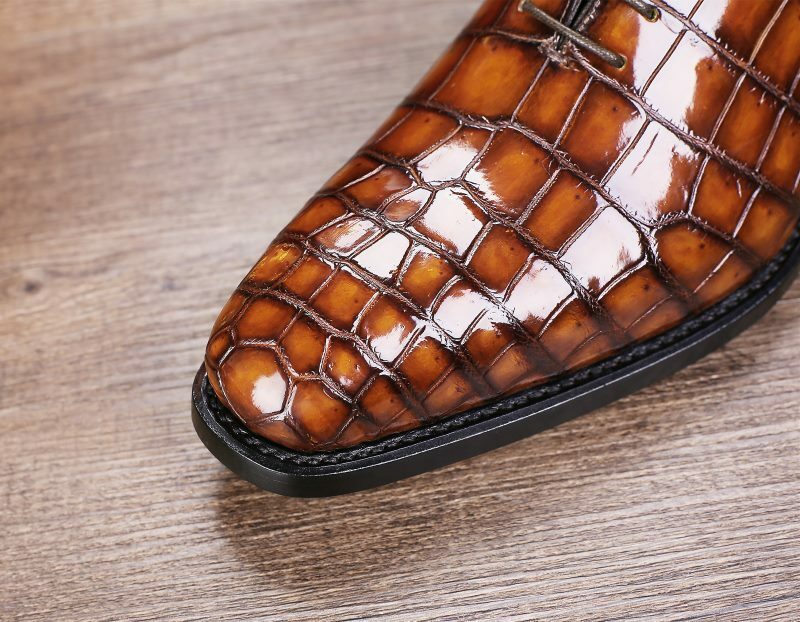 As well as the amazing texture of the shoe is more appealing. 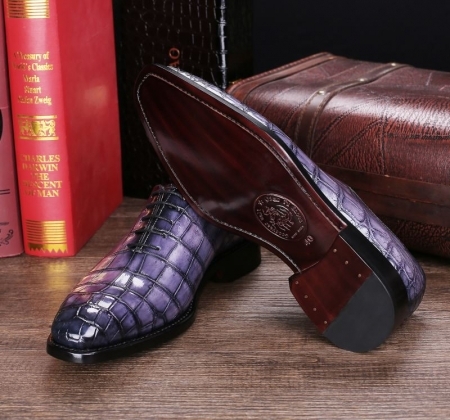 Everyone will surely appreciate your style sense. 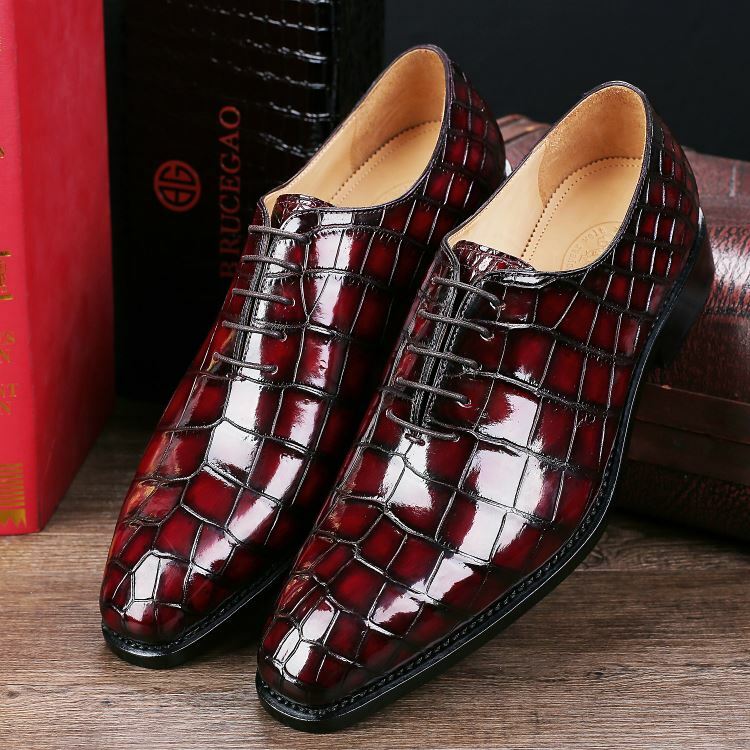 You will not have to worry about any kind of wear and tear because that is the only way you can enhance the overall look and wear the shoes for as long as you like. 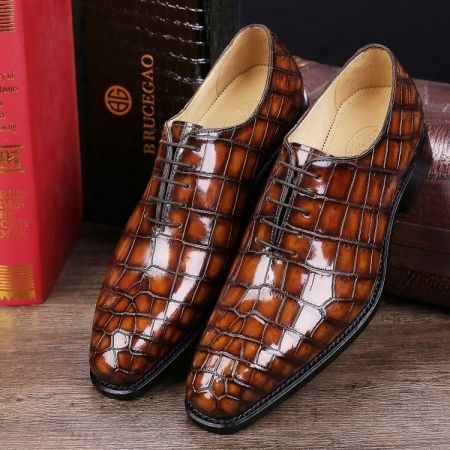 You might be wondering that the Classic Alligator Leather Dress Shoes Goodyear Welt will be expensive and only for those who can afford such a pair of shoes. 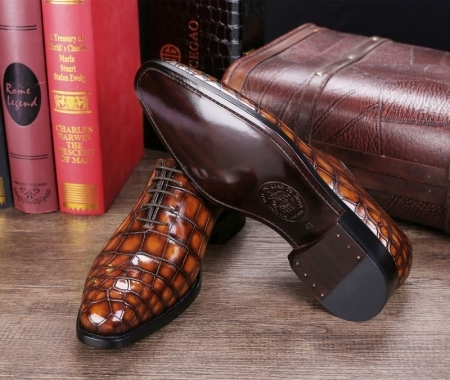 Do not worry because the Classic Alligator Leather Dress Shoes Goodyear Welt is available at the most affordable rate. You will not have to disturb your budget and look cool without spending a lot of money. 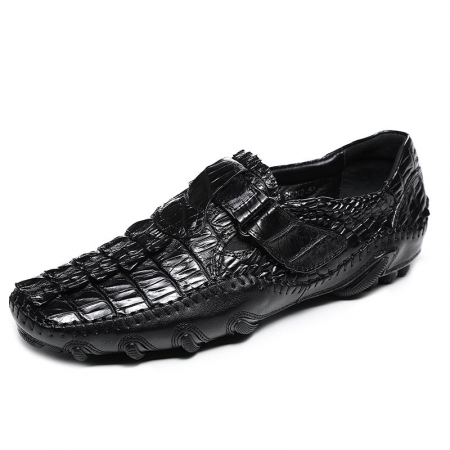 The best thing about the product is that it is available in all sizes. It means that regardless of the size of your feet you can easily get yourself the shoes.